You're riding your bike to a Cub Scout meeting. Or maybe Dad is cooking hot dogs out for a picnic. And then suddenly, BOOM, it's a nuclear nightmare. Just duck and cover, right? As the Cold War and nuclear proliferation forged on, the reality of the bomb became a realistic expectation for many during the 20th century. But as the results of the March 2011 earthquake and tsunami in Japan proved, no bombs are needed for a radioactive reality; nuclear power plants can potentially pose great health risks to millions of people. 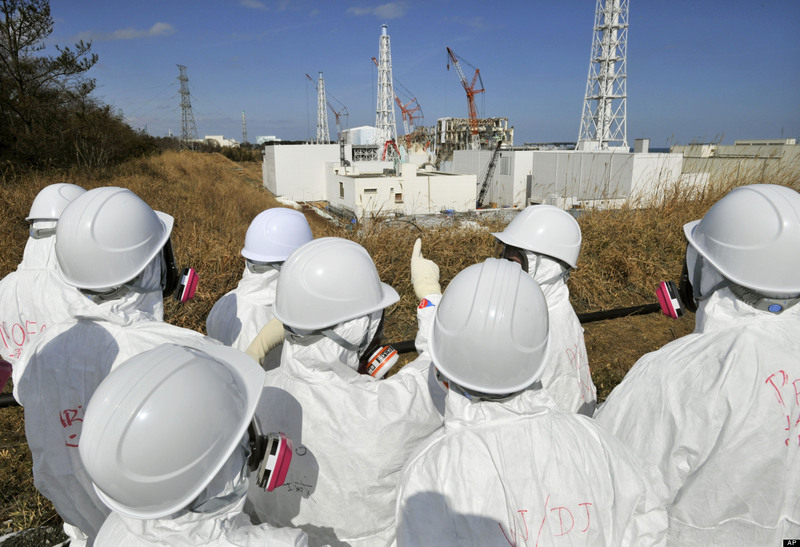 Immediately after the Fukushima Daiichi meltdown, thousands of people bought up and gobbled down supplies of potassium iodide, or KI, MSNBC reports. According to the Cleveland Plain Dealer, the pills flood the thyroid with iodine and block the absorption of radioactive iodine if taken within a few hours of radiation exposure, protecting against thyroid cancer. In the Cleveland, Ohio area, for example, potassium iodide pills are distributed within a 10-mile radius of the Perry Nuclear Power Plant as a precautionary measure, matching government standards. But in the case of Fukushima, people in the United States overreacted, according to a spokesperson for the Nuclear Regulatory Commission, when the demand for KI eclipsed its supply. Many in Southern California believed nuclear fallout would reach the U.S., according to an article in TIME magazine, and a run on KI pills sent prices skyrocketing from $6 per bottle to $140 per bottle. "Any ‘demand’ for KI was driven by the media and alarmist Internet postings," David McIntyre told MSNBC. The most serious nuclear accident in history occurred in Chernobyl, Ukraine, in April 1986. The meltdown led to the deaths of 30 plant workers, most from radiation poisoning, and the injury of 100 others, according to the United Nations Scientific Committee on the Effects of Atomic Radiation. Up through 2005, more than 6,000 cases of thyroid cancer had been reported in children and adolescents, the most prone age group, exposed to the radiation from Chernobyl. Research from UNSCEAR, however, suggests "there is no evidence of a major public health impact attributable to radiation exposure 20 years after the accident," according to the World Nuclear Association, but not everyone agrees with Chernobyl being a closed book. Some scientists say Chernobyl remains a poorly investigated hazard, even 25 years later, according to Discovery, and the real trouble stems from a change in the ecosystem and in a dearth of wildlife. "The contamination is going down, but it will take dozens of years for nature to bring it down to safe levels," Valery Kashparov, director of the Ukrainian Institute of Agricultural Radiology, told Discovery. Previously in Japan, Dr. Tatsuichiro Akizuki, the Director of the Department of Internal Medicine at St. Francis's Hospital in Nagasaki, was only a half-mile from the epicenter of the atomic bomb drop, according to Helium, and he and his staff and patients purportedly survived by eating a diet of natural brown rice, miso soup, sea vegetables and salt. It's tough to know whom to believe. The World Nuclear Association notes that the United States is the largest producer of nuclear energy in the world, with its 104 nuclear reactors accounting for more than 30 percent of all nuclear electricity produced worldwide. Those 104 nuclear reactors cover 31 states, according to the Nuclear Energy Institute. How Stuff Works notes that Fukushima Daiichi was the 10th-largest nuclear plant in the world before the disaster, however, and none of the others in the top 10 are located in the U.S.
Americans will remember the Three Mile Island accident as being the worst nuclear episode in domestic history, but the plant failure led to no injuries or deaths, and stricter regulations resulted from the meltdown. So while potential disaster could be in your backyard, depending on where you live, there are no hard or fast rules with surviving a nuclear meltdown, no matter what the government might tell you. Those Bert the Turtle videos are pretty funny.